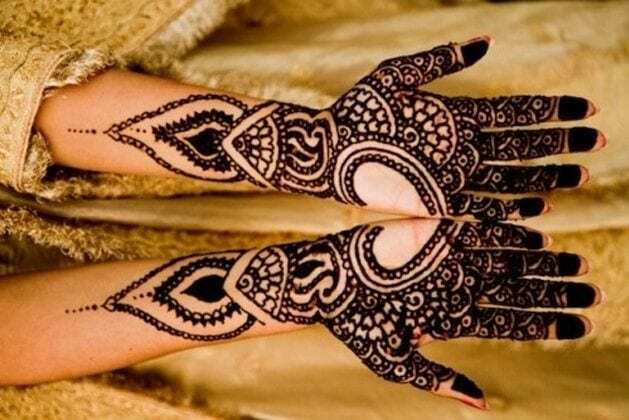 Heart Shaped Mehndi Designs. 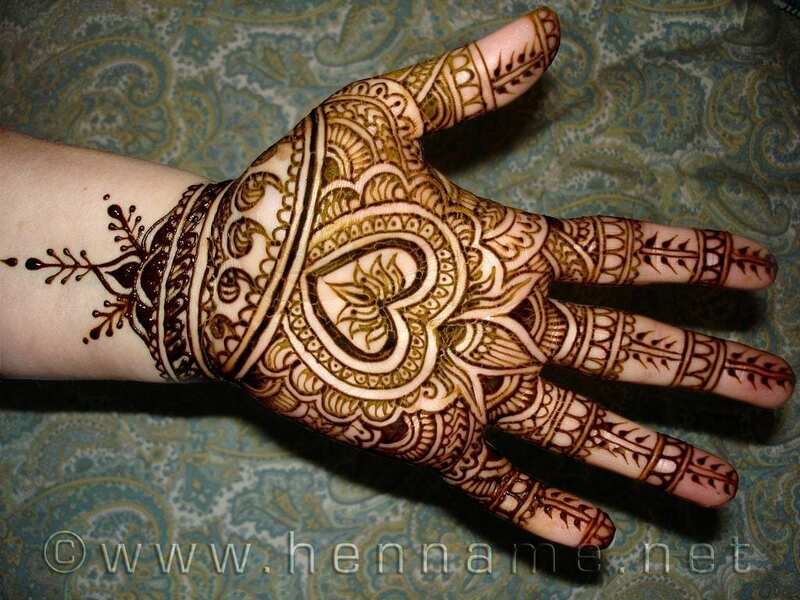 Henna or Mehndi is extensively loved by the woman all around the world. 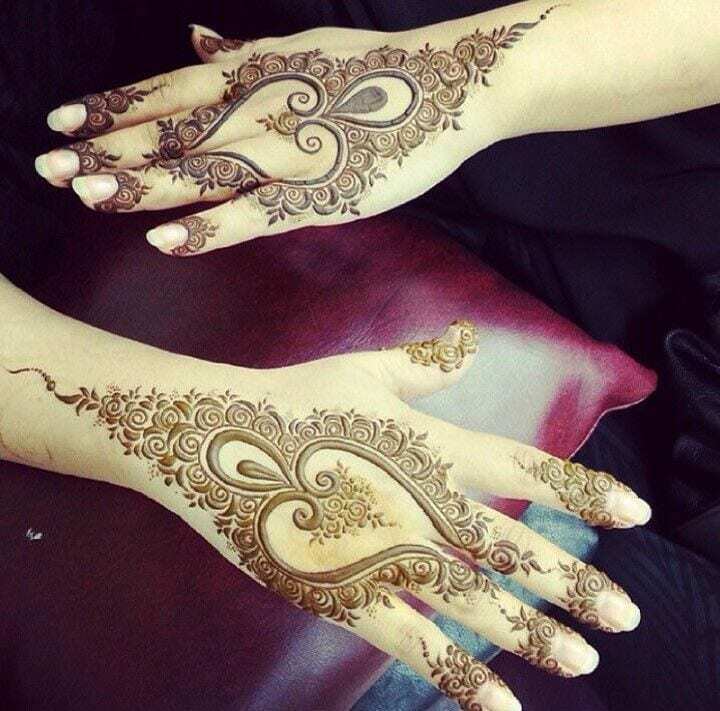 Women decorate their hands and feet with Henna on their wedding and many other occasions. 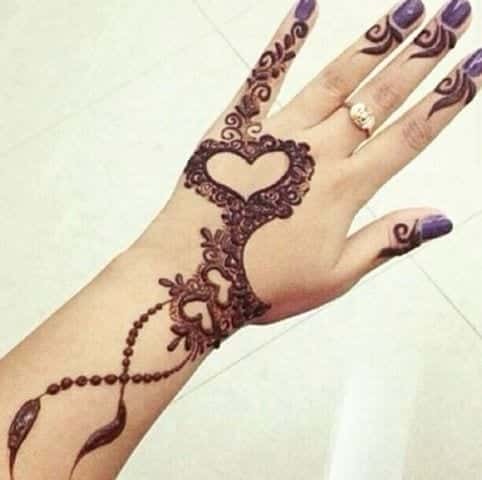 There are a lot of designs and Henna Art through which girls decorate their hands, but Heart design is simply love and famous among all women. They love it most because it is simple and very popular. 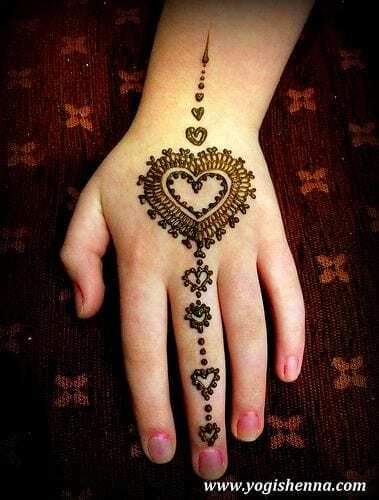 The top 20 most best and simple Henna Heart Designs are as follow. This geometric designed heart is ideal for wedding occasion and other events. One of the most adorable and beautiful design on feet. 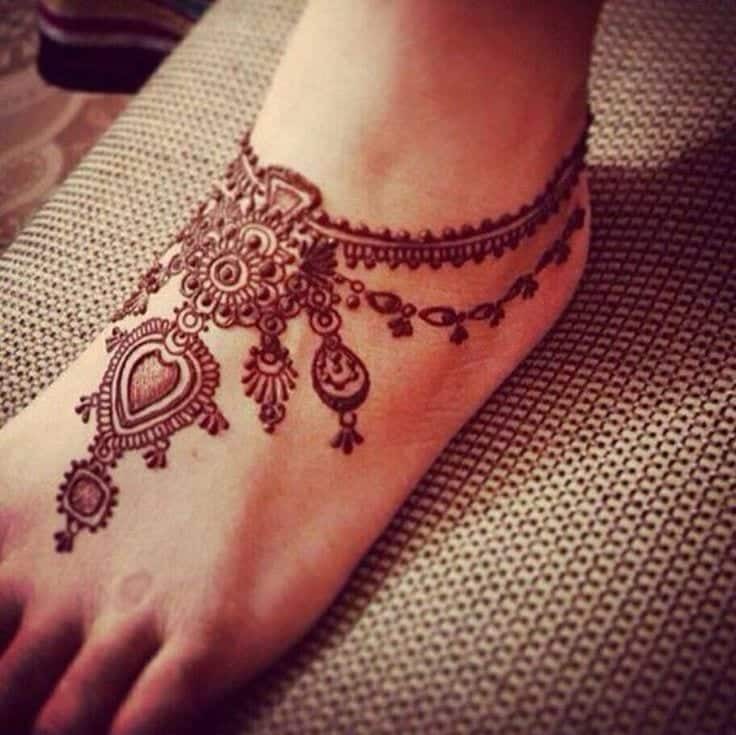 The Henna on feet with anklet style is simply enhancing the beauty of heart designs. You can draw the design on your main day and on other events as wedding guest. 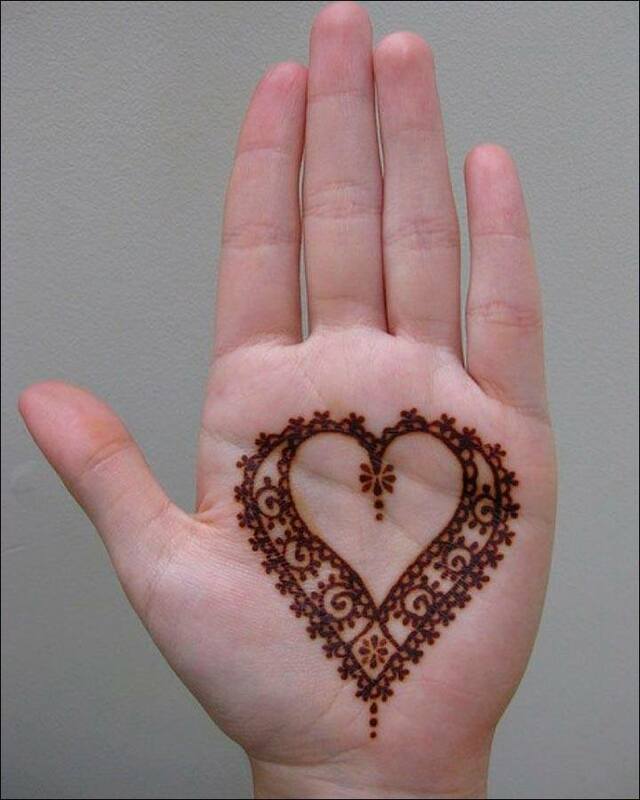 You can make heart designs of Henna on the back of your hands. You can keep it simple if you are drawing on the back. You can make very simple designs to support your each and every event by the beauty of this simple design. Another cute and simple idea is to draw only hearts. Just make a chain of heart in a line and add a simple bracelet of hearts. Very simple to make and also look decent. 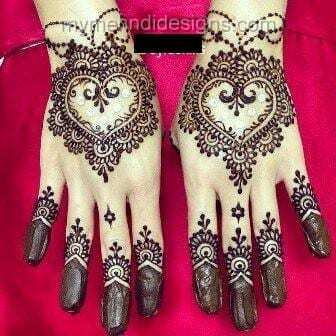 For your big day get a professional helper and ask her to decorate the hand with some special floral heart pattern so that your better half can’t sit calmly without complementing it. If you want a lovely pattern of heart design on your arms, then it is a cool idea to make a pattern of hearts surrounding with flowers and leaves as bracelet. 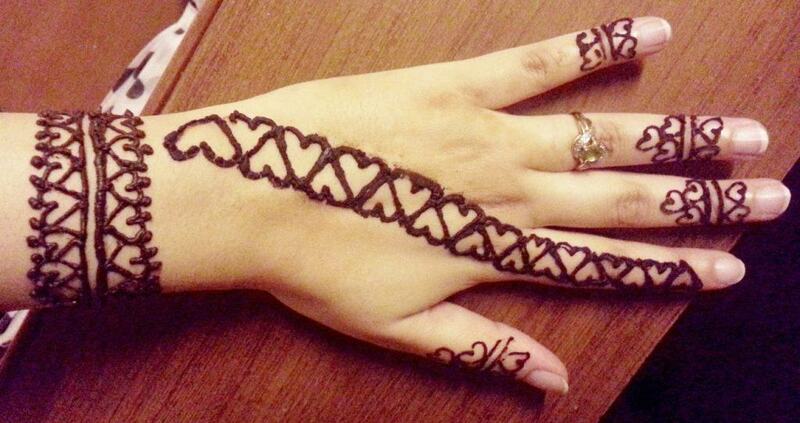 This Heart design is simply enhancing the Persian Henna Pattern. Very delicate and intricate design for all events. Another idea for heart design is Arabic Pattern. Very spectacular and stunning design idea. You are not restricted to your hands and feet only but tattoo style heart patterns on your different parts of body look seductive and hot. Try a tiny cute heart design on your finger as a ring pattern. A simple and cute design to try. 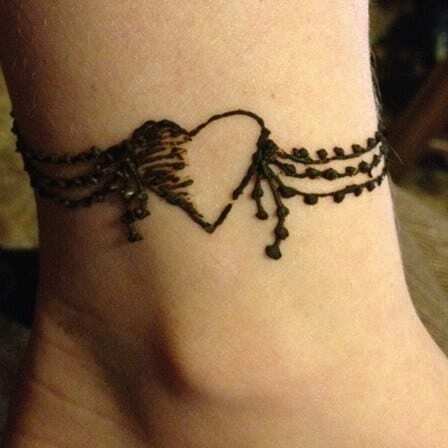 Heart designs on ankles is also a very simple and decent idea. It is simply like you are wearing an anklet. 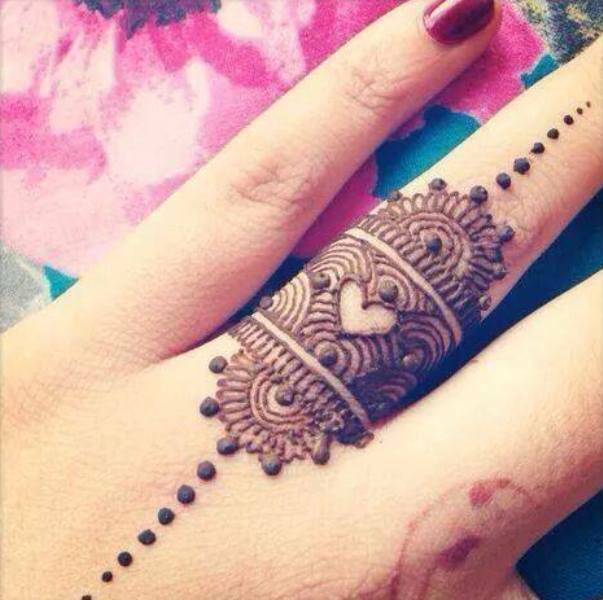 Now give a western touch to your henna color with heart shape design. 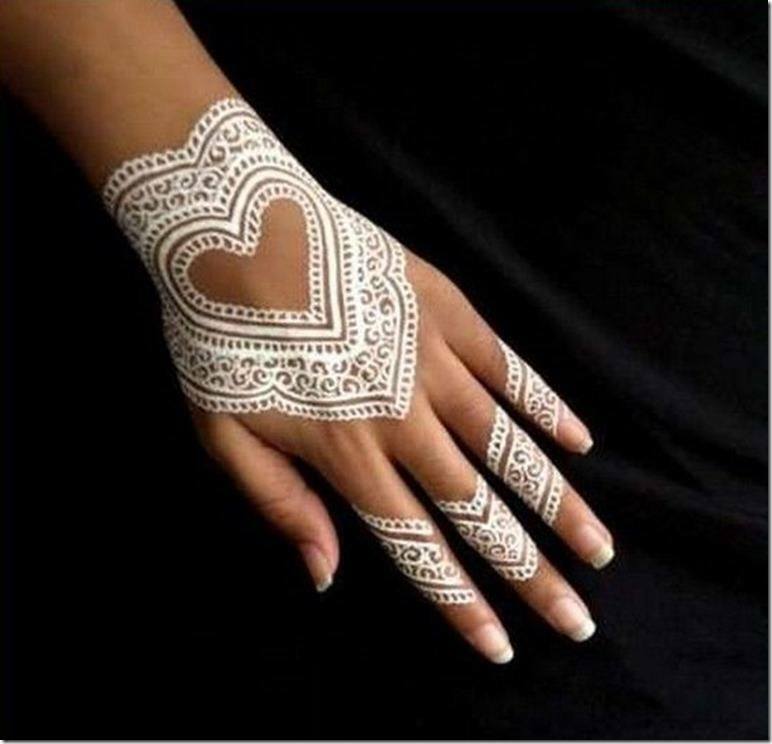 And try a white Henna Heart design for acrylic and painted beauty. 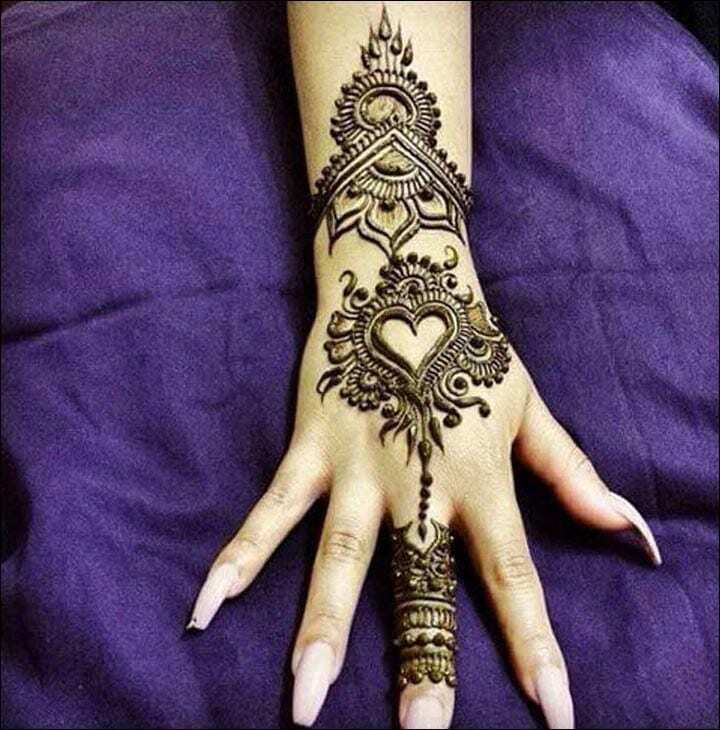 Just want to give a hearty touch, then simple stunning heart art on your hand is never far away. It looks simple and beauty of this simplicity is really adorable. 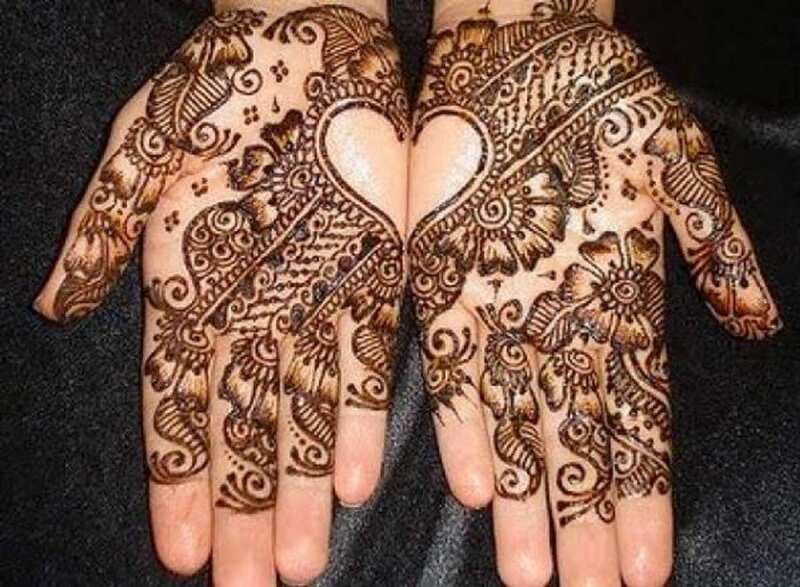 The patterns are made on both hands and when you join your hands you can see a beautiful Heart designs. 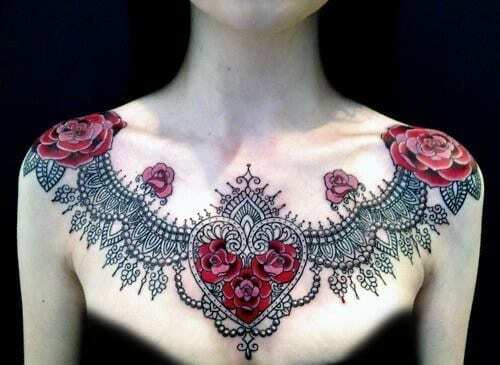 The floral designs around the heart look beautiful. 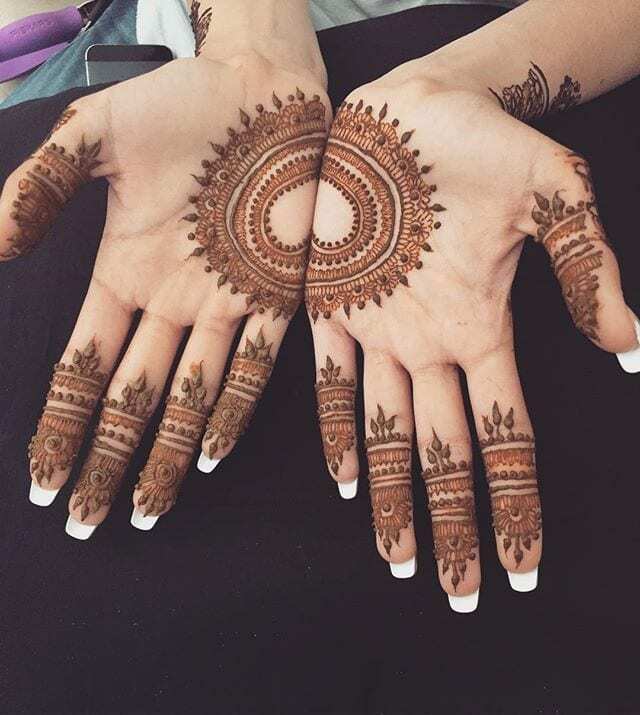 This is adorable engagement Henna designs for girls. Really looks romantic and beautiful. 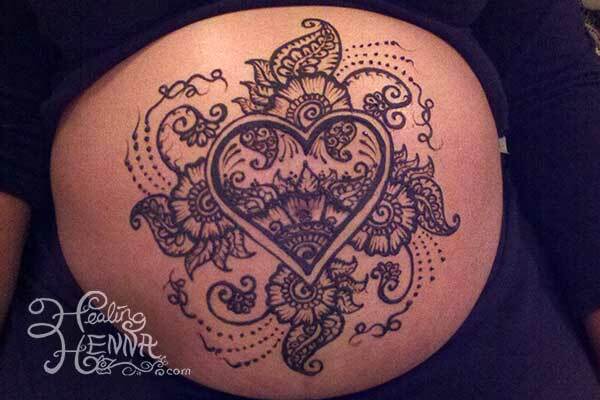 The baby would feel love under this stunning bumpy cute heart art on tummy. For girls who want to flaunt their day by the love on their palm. 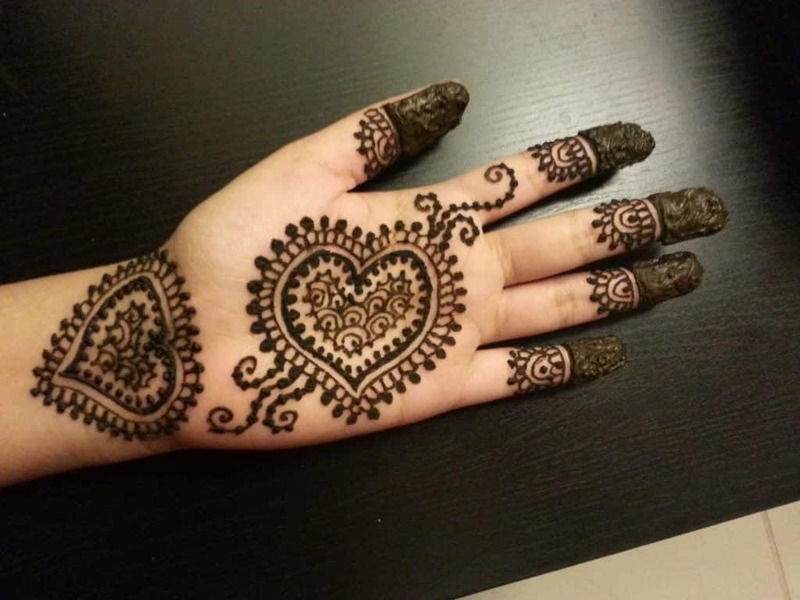 Another beautiful simple Henna Heart design can make your Chaand Rat and Eid Festival very special. 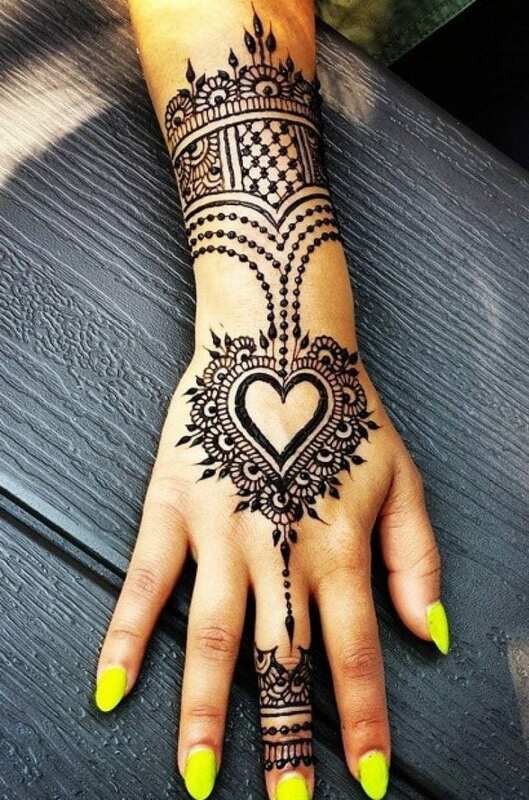 This Henna designs simply looks like you are wearing a beautiful heart shape jewelry. 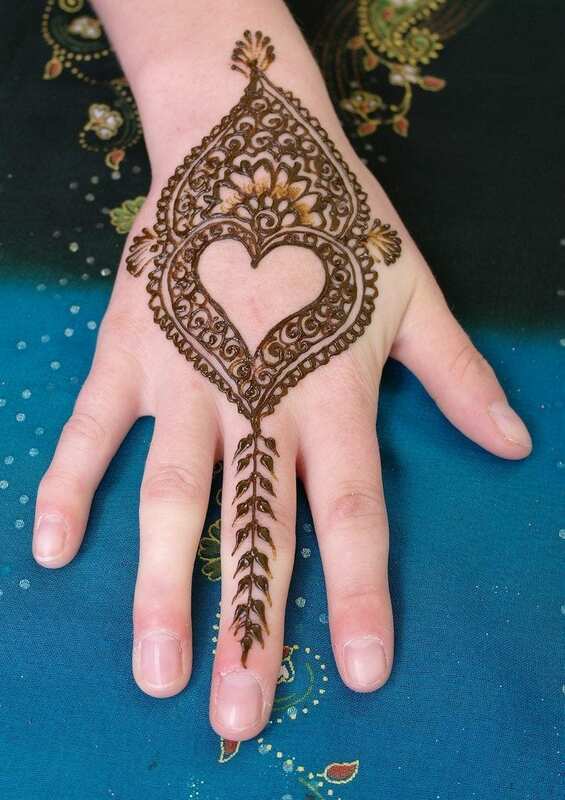 This center flaming Henna Heart shape is also ideal for Mehndi occasion.